What Makes a Good Cold Saw? 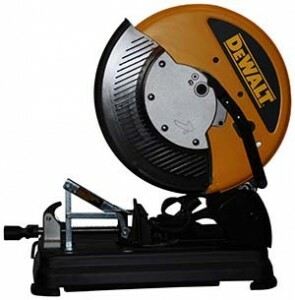 A cold saw is a popular power tool that uses a circular saw blade to cut all kinds of metal. The reason it is called a cold saw is because of the cutting process is uses. The heat that normally builds up with metal saws doesn’t happen here. The heat is transferred to the chips created by the saw blade. 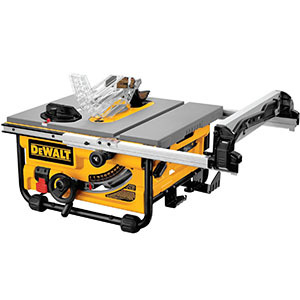 This cold saw is powered by a 15 amp motor that provides 1300 rpm which enhances the performance of the saw and elevates it above the regular, middle-of-the-road saws you find on the market. There is a quick-release tool-less guide plate that can go anywhere from 0 to 45 degrees which makes quick and easy work of any miter cutting. This cold saw has a cutting capacity that ranges from 4.5” at 90 degrees to 3.5” art 45 degrees. There are many features this cold saw has that improve its performance. 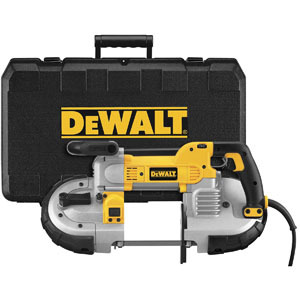 These features include a quick release vise that provides secure material retention, an on-board socket wrench that is always handy when you need to change a blade, and more. There is also a shavings collection tray that makes quick work of the disposal and helps provide a clean work environment. The D-shaped handle has a two-finger trigger and also has a lock-off button that was designed to prevent accidental and potentially dangerous starts when you are not ready. 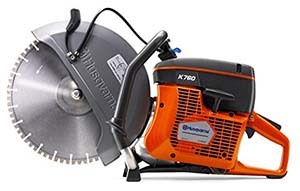 The carbide-tipped blade that comes with the saw will last up to 50 times longer than saws that have abrasive wheels. It is designed to cut cleanly, with accuracy, and it is almost entirely burr-free. This saw is perfect for a variety of different metalworking jobs and is a great example of the quality and performance to which Makita is committed. Cold saws can be used to cut both ferrous and non-ferrous metals. There are no sparks when cutting and the blade moves at a slower speed. One of the many benefits to using a cold saw is that there are no burrs on the edges of the metal and dust is minimal. Cold saws are frequently used by welding shops, automotive shops, fabricators, general contractors, construction companies, and metalworkers to cut different types of metals. They are most often professional tools since most people don’t do much metalwork as a hobby. 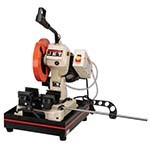 In the commercial world they are quite popular and many places that deal with metal on a regular basis have cold saws. There are many different features that you should look at when you are researching a high-quality cold saw. 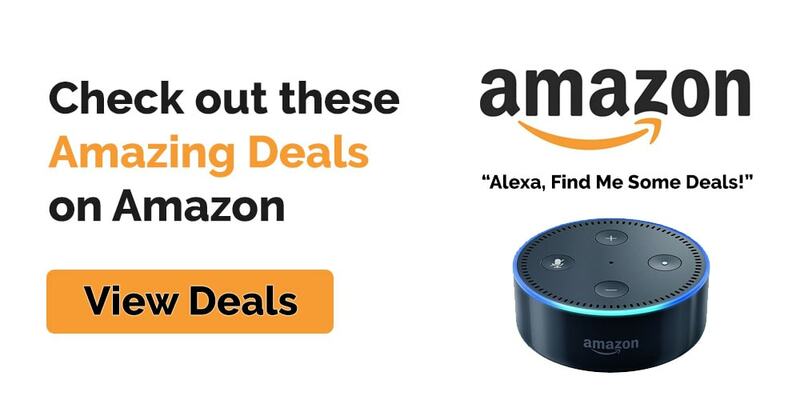 Selecting the right one can feel daunting if you don’t know what to look for but we’ve taken care of that for you right here. When you are looking for a cold saw, one of the most important features is flexibility of size. Also, a nice range of cutting speeds that can deal with any nonferrous or ferrous alloy. Your cold saw should be able to handle a variety of different size cuts from the largest to the smallest. Most cold saws that are purchased use one of two coolant systems: flood or misting. Knowing the alloys you will be cutting will help decide which type of cold saw you need. Most of the cold saws sold in the US are manufactured in either Asia or Europe so replacement parts can become a challenge. The best way to handle this is to make sure that the sales agent keeps stock of the more common replacement parts. A good quality cold saw will come with a warranty. Most of the warranties are 1 year on parts but it’s important to know which parts the warranty covers and know the terms of the warranty so you know what might void it. We started our research by doing a general search for cold saws. We looked at the features that were available with high-end models such as flexible sizes, a wide range of cutting speeds, the ability to handle large and small cuts, durability, and a good warranty in place. We talked to experts in the metalwork industry and spoke to fabricators, construction workers, and automotive technicians to find out what they looked for in a top-quality cold saw. Next came looking at tool blogs and magazines to learn about features and qualities. We wanted to have an excellent idea of what made up a high-quality cold saw versus a lesser-quality model that would be better off passed over. Once we had all that information collected, we were able to choose our pick of the Makita LC1230. Users love the adjustable depth stop, manual vise, and the safety spring loaded trigger switch conveniently located in the handle. These things combine to provide a cold saw that cuts with precision and reliability. The 1 HP motor, brown worm gear and hardened ground worm screw gear box, along with the 225mmblade saws right through solid steel. Every JET cold saw is reliable and quality parts and engineering goes into every one of their saws. They are expected to perform exceptionally to very tight standards that give users a very consistent operation with precision and quality. There is also a top warranty provided on this machine should you want it. If the cold saw ever needs repairs, there are 750+ authorized service centers all across the United States. With that many dealers available to fix the cold saw if it has trouble, you can rest assured that you have a great machine. When you invest in a piece of equipment, you want to know that the product will handle the rigors you have to put it through. You want it to last and one of the things you need to do to ensure it will last is follow the maintenance schedule of the product. There are things you need to do to ensure the safety of the operators, the safety of anyone close to you that is in the work area and the preservation of the product itself. Below are some valuable safety and maintenance tips to follow. Never operate cold saw without the guards in place. Never use a cold saw where there are flammable gases or liquids. Keep hands and fingers out of the way of the cutting blade. Don’t do any service or adjusting to the saw until it is 100% all you all the way stopped. Never move the cold saw while it is running. Never yank on the cord to unplug it. Keep away from heat, oil, sharp edges and water. Replace blade whenever they wear down. Blades should be sharp. The cold saw is a tool that is common around the work site and is perfect for cutting metal. They are very useful for metalworkers, fabricators, construction works and contractors to use to cut pieces of metal for various tasks. Cold saws make the whole process of cutting metal much more manageable. Taking the information in this review and guide you will be able to understand why the cold saw model we have picked was top one. With all of the features that is has, it allows the user to perform a lot of tasks in a shorter time frame. 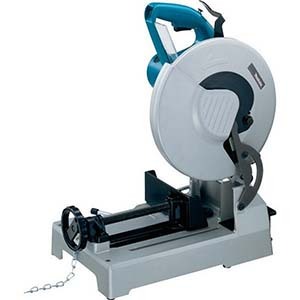 This professional grade cold saw will meet the needs of the professional and amateur when it comes to do with metal cutting.